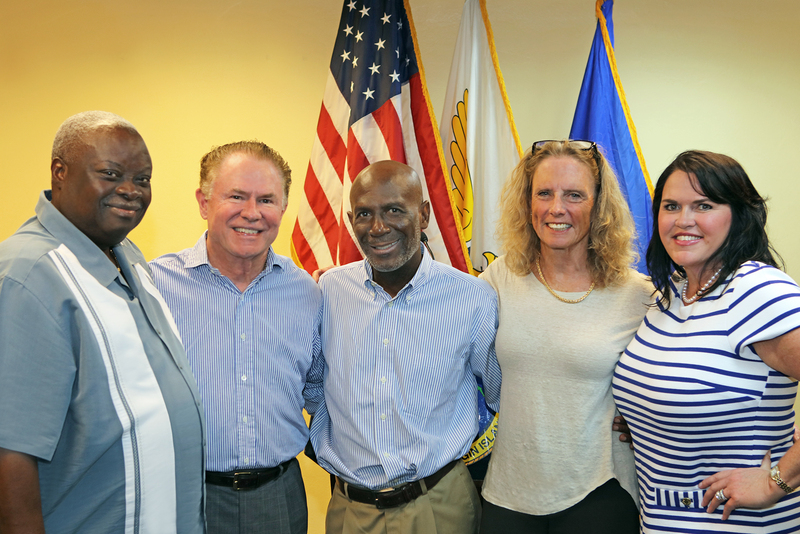 Recognizing the massive humanitarian challenge facing the U.S. Virgin Islands (USVI) as it recovers from the devastating impact of hurricanes Irma and Maria, the Stephenson Family Foundation, under the leadership of longtime St. Thomas resident, Richard J Stephenson, today announced a pledge of $5 million in relief funds to assist with the islands’ recovery. Two million dollars is being funded immediately, with the additional $3 million pledged as a matching fund to encourage other donations to the Community Foundation of the Virgin Islands (CFVI) for hurricane recovery. Stephenson, founder and chairman of International Capital & Management Company (ICMC), an Economic Development Company (EDC) on St. Thomas, is partnering with CFVI in launching HelpUSVINow! to aid in the recovery of the U.S. Virgin Islands (USVI) from the unprecedented ravages of the two storms. Tax-deductible donations can be made at edcreliefandrecovery.org. In addition to the $5 million commitment to the HelpUSVINow! Fund, the largest private contribution to the USVI to date in the aftermath of hurricanes Irma and Maria, the Stephenson family has coordinated numerous hurricane relief efforts, including the charter of a Boeing 737 out of Chicago to deliver critical supplies, medical equipment, food and dozens of generators to St. Thomas and the surrounding islands in the wake of the storms. In addition, the family assisted in helping many USVI residents, especially those with children or special circumstances, fly to the U.S. mainland to get out of harm’s way. Visit https://edcreliefandrecovery.org or call Katrin Bradell, CSVI Development Director at 340-201-0299. Checks can be mailed to the CFVI office: PO Box 11790 / St. Thomas, VI 00801 with the memo: HelpUSVINow! For more than 25 years the Community Foundation of the Virgin Islands has been catalyzing positive changes in the Territory through initiatives committed to youth, learning, family support and the environment. With a professional staff and a volunteer Board of Directors composed of community leaders, CFVI is a trusted advocate and supporter of programs that ensure opportunity and sustainability for current and future generations. To enhance its work, CFVI actively collaborates with trusted non-profit partners and other entities throughout the Territory. CFVI operates or funds close to 50 community initiatives and programs including college scholarships, teacher grants, the TFC Kindercamp for school readiness, the Junior Angels volunteerism/philanthropy program, the Next Generation Scholars college access program, and emergency grants to families and elderly residents of the USVI. CFVI is a registered non-profit organization entirely supported by individual donors, grants, trusts, corporate donations and estate planning.